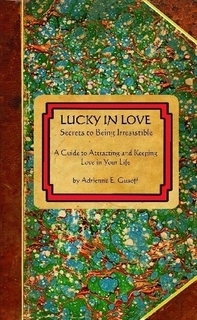 For those of you who’ve visited my website, have heard me lecture, and/or who have read my book, (Lucky in Love ), you know that I have a rather extensive philosophy about what makes people irresistible in love. The essence of it, however, goes hand in hand with my previous post: Make people feel good about themselves. This does not mean drowning people in false (or even real) flattery. While this might get you dates, it’s not the basis for a deep and meaningful relationship which will transform your (and their) life. I am a huge believer in the transformative power of true love, and have dedicated my life to helping people understand what love really is, and how to invite more of it into your life. To achieve this does take some work — on ourselves above all, because in understanding ourselves at the deepest possible level, we learn to understand others. And understanding others is the essence of love. So, what is the single best thing you can do to get people to absolutely adore you? See them as they really are; see them they see themselves and see them as they wish to be – and help them reconcile all three. When you can help another person see the potential for greatness in him or herself, and if you help them navigate that path, your value to them increases a hundred fold. Change your life! Order your copy now! Click here. Wisdom distilled from many years of loving, dating, failing, picking myself up again, dusting myself off, and getting back into the fray. If you follow even 10% of the advice in this book, your love life will improve 1000%. I promise. $29 per person if two or more book at once, so book with a friend today! Wishing for something is another way of saying “focusing mental and emotional energy on” it. If you’ve never seen the movie, Bedazzled, (either the Peter Cook-Dudley Moore 1967 version, or the Brendan Fraser- Elizabeth Hurley 2000 version) I recommend them both highly…not just because they are both equally brilliant and hilarious, but because the premise is a wonderful metaphor for how we desire. Essentially, Stanley sells his soul to the Devil in exchange for seven wishes. All his wishes center around trying to get a certain woman to fall in love with him so they can live happily ever after. The Devil, however, (being a devil) takes him at his word and each time, gives him exactly what he asks for, which of course, never turns out to be what he wants. There is always some element which frustrates him and/or makes him miserable. One of Stanley’s big mistakes, is that he focuses too much on either superficial things or on the structure of the relationship, leaving the Devil ample latitude to mess with feelings. For example, in one scenario, he is wealthy and powerful and married to the love of his life — just what he asked for — except she is in love with someone else. Are you focusing too much on attaining goals which are only superficial to your ultimate happiness? If you got EXACTLY what you wanted, would that satisfy you? Make you happy? Are you certain? What about that situation or achievement would make you happy? Is there perhaps a surer path to that goal; one that may be more in your control? More within your ability to attain? These are questions a good life coach can help you define and answer.